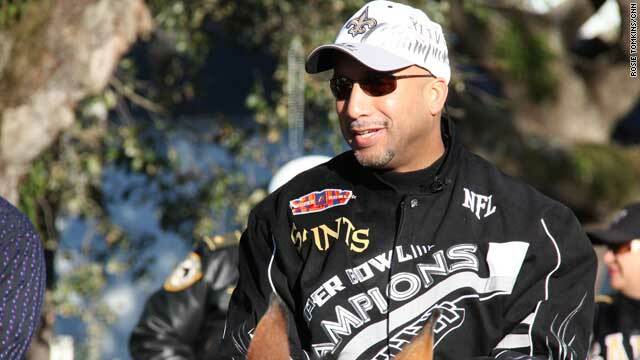 New Orleans mayor Ray Nagin will leave office in May amid criticism over his efforts to rebuild the hurricane-hit city. 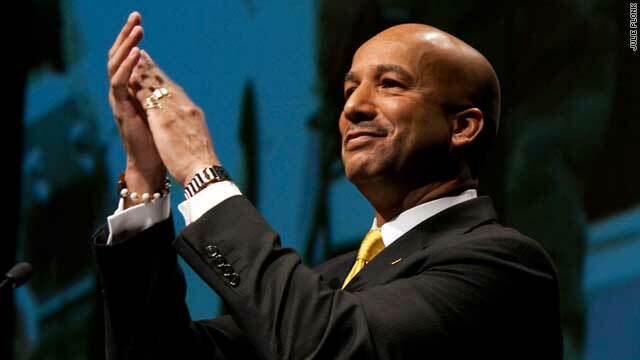 CNN's monthly feature show Revealed profiles New Orleans mayor Ray Nagin as he approaches the end of his tenure in May. This is one of a series of articles looking at Nagin's legacy and the impact of his mayoralty on the city. (CNN) -- When Hurricane Katrina shattered the levees in New Orleans' Lower 9th Ward, Brenda Dupre had no choice but to run away. Her home, along with many other buildings that stood in the path of the storming water, was swept away. Almost five years on, time seems to have frozen in the ravaged neighborhood: vacant spaces sit like tombstones in place of the homes that once stood there. "It's even worse now than it looked after Katrina -- even though water killed everything, the homes were there," Dupre told CNN. "All these were houses full of people. This is really painful to me, it's overwhelming," she added. In the months that followed Katrina, the devastated citizens of New Orleans placed most of their hopes of recouping what the hurricane ruthlessly took away from them on Ray Nagin. With New Orleans flooded and literally empty, all eyes turned to the city's re-elected mayor as he embarked on a journey of rebuilding. For the years that followed, Nagin became the public face of the city's sluggish response to the hurricane, which claimed more than 1,800 lives. His final tenure, which is about to end on May 3, has been fraught with the anxiety of an emotional electorate and a city dealing with natural disaster. His perceived failure to follow through on some of the promises he made has prompted many to greet his pending departure with relief. "People are literally counting the days down to his administration ending," Clancy DuBos, editor of Gambit Weekly newspaper in New Orleans, told CNN. "The polls show that he has something like a 90-99 percent negative rating among whites and about 60-70 percent among African-Americans. "That's pathetic, it's worse than George Bush and Richard Nixon at their worst," DuBos added. But Nagin remains defiant in the face of negative opinions. He attributes his slumping popularity to the fact that he wasn't the choice of local media to run the city for a second term. "I was beaten on for almost four years and that takes its toll," Nagin told CNN. "There is a certain skin that you have to have in politics but after a disaster it goes to another level. I understood that every day it would be a war almost -- a war to rebuild my city and get the correct information out so the citizens really knew what was going on," he added. Nagin stresses that New Orleans has come a long way in recovery just four-and-a-half years since Katrina. "Over 80 percent of our population is back," he said. "We've got a very strong economy and the lowest unemployment rate in the country. "We have construction-related activity that is everywhere, with streets, playgrounds and parks being redone. Those who have studied disasters of this magnitude would say that it takes 10-15 years to recover from a disaster like Katrina, so we are well on our way," he added. The feeling of disappointment resonates beyond the Lower 9th. All across the city, signs of rebuilding sit alongside reminders of Katrina's lasting effect. We've got a very strong economy and the lowest unemployment rate in the country. In October 2009, local artist Karen Ocker published "The Ray Nagin Coloring Book," a scathingly satirical cartoon book about some of the mayor's most notorious statements, including the declaration that New Orleans will become a "Chocolate City" again, with a majority of African-Americans, in the aftermath of Katrina. "My frustration is that people still have not returned to New Orleans," Ocker told CNN. "Our mayor promised earlier on that every New Orleanian would be able to come home, yet his actions did not ring true to that." Nagin's supporters insist that his work is still unfolding, noting that new mayor-elect Mitch Landrieu will soon reap the fruits of Nagin's recovery efforts. They credit him with saving the city from bankruptcy and giving city employees a pay rise. For them, Nagin is the mayor who was tasked not only with rebuilding New Orleans but also uniting a divided community and restoring the sense of faith that was destroyed after Katrina. According to New Orleans pollster Dr Silas Lee, Nagin should have managed the expectations of the city's "frightened electorate" better. 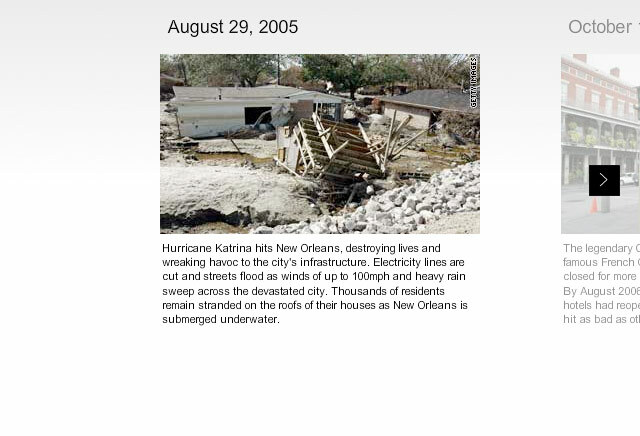 "After Katrina a lot of people felt the recovery could have happened in a matter of months but in reality it was always going to be a five-year work in progress and that's what a lot of people did not understand," Lee told CNN. Following an eight-year term that has been entirely defined by one of the biggest crisis in the history of the U.S., Nagin says he anticipates his exit with relief. "The first thing is going to be a long vacation, I have been going non-stop for eight years and the Katrina experience was just something that I need a break for," he said. When asked about how he think he's going to be remembered, Nagin is confident that his legacy will be positive. "People will probably remember me for being the Katrina mayor, a guy who never gave up and spoke up for the city when it was at its darkest moments," Nagin said. "I think that my legacy will evolve over time -- whatever it will be, it will be distinctive."